These Office Door Signs Have Quickly Become Commonplace in Business! These Conference Room Signs Are Metal Name Plates for Wall Use! These Office Door Signs Can Be Ordered Now! 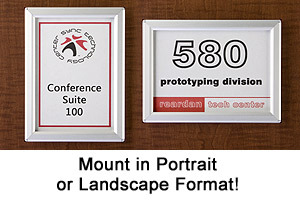 Frame that measures 5" x 7" is an ideal office sign. Purchase includes a clear, non-glare cover. The holder is able to be mounted in vertical or horizontal format. All of the necessary hardware for mounting is provided with purchase. One case order equals 25 snap frames. These office door signs are very easy to insert graphics into. The snap frame opens up at all for edges and then grips onto the image. These office door signs come with a lens that prevents damage to the content. Position, snap shut and the unit is ready for viewing! 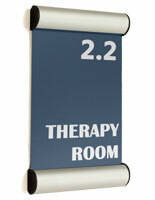 These office door signs are popular because they are much easier to use when compared to other business signage. Users are capable of inserting and removing graphics without taking the models off the wall. These office door signs can be permanent fixtures because they are so easy to update! 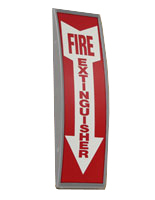 The business signage holders are very easy to use and inexpensive as well! 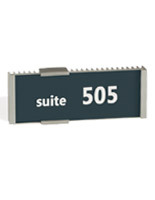 These office door signs are capable of enhancing the entire décor of the business or company. The conference room messages, called name plates, afford users with a convenient and hassle free way to secure the content. 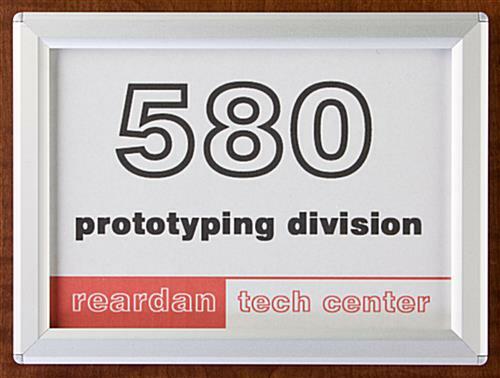 These office door signs can present the information in either vertical or horizontal set-up, which gives users many different options. 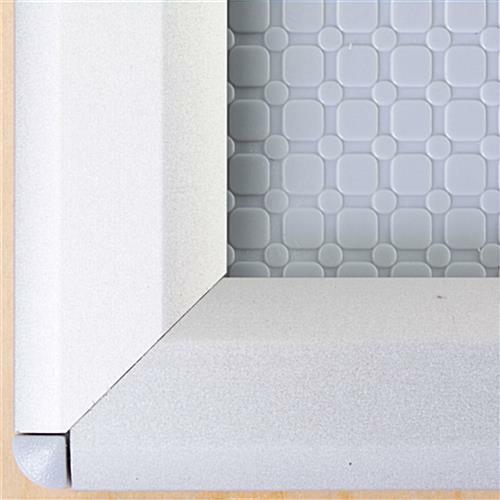 The conference room boards have an aluminum face framing with a satin silver finish for an attractive appearance. These office door signs have a plastic backer for added support. 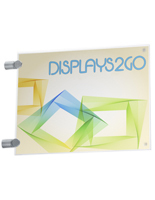 The business signage holders come with all the need mounting hardware. 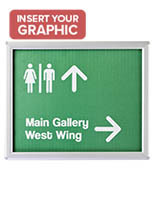 These office door signs are sure to help patrons find the appropriate area. The conference room identifiers are great aids.